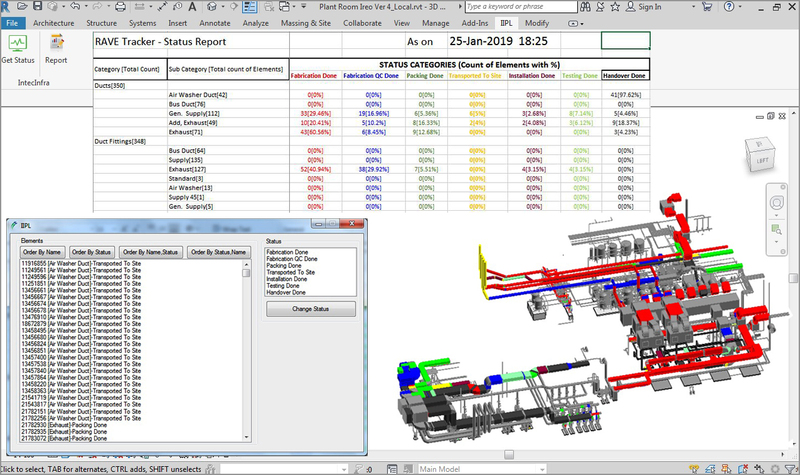 Rave-T is a tracking tool which helps in identifying and tracking the status of an element. Right from the Design stage to handover; just by viewing the model one can know the stage of each element. The tool also outputs the report in MS-Excel(xls) format enabling to know the work progress. The monitoring stages and associated colour coding can be customized as per the needs. It can be integrated with QR Codes,RFID or any other technique for automating the status updates. Reads status from database and doesn't disturb the model. The tool deletes elements which are perfectly overlapping each other. 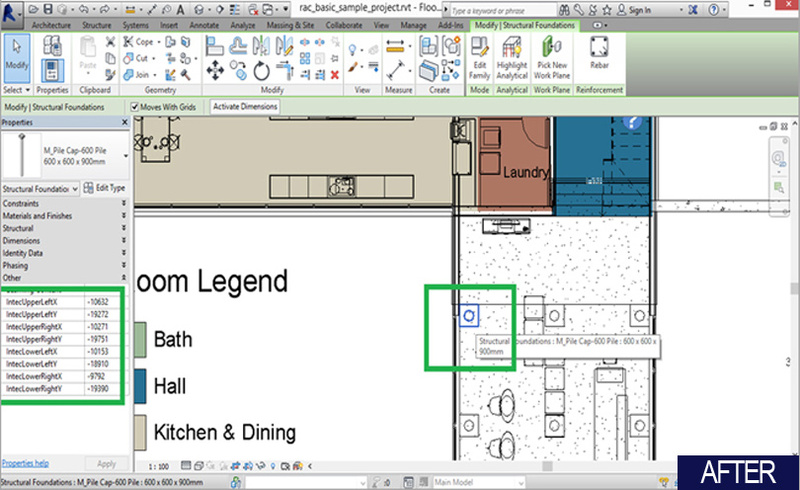 Often a warning is faced in Revit "There are identical instances in the same place. This will result in double counting in schedules." The tool helps in dealing with this warning. 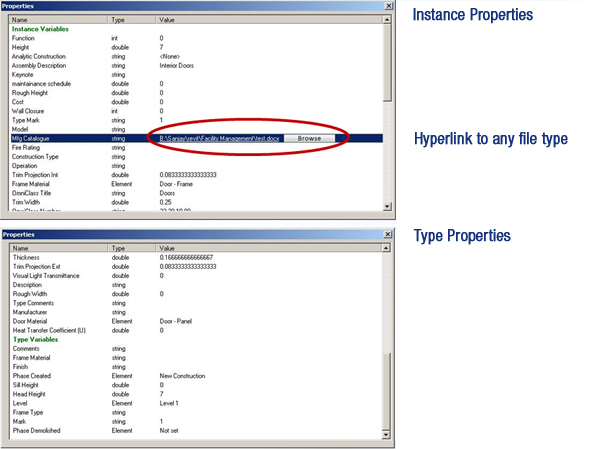 Usage: The user has to just click DuplicateRemover which can be found under IntecInfra Menu. 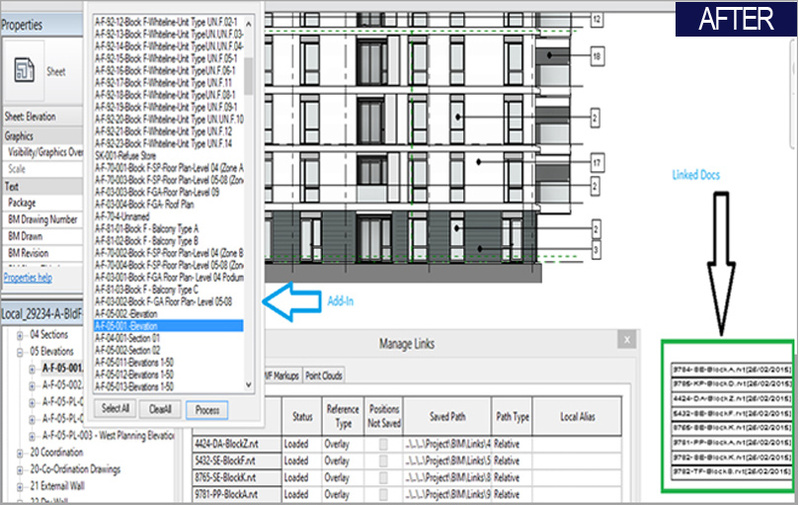 LinkScheduler is a Revit plug-in which places the name/path of the Linked Docs in all the sheets in the current project. 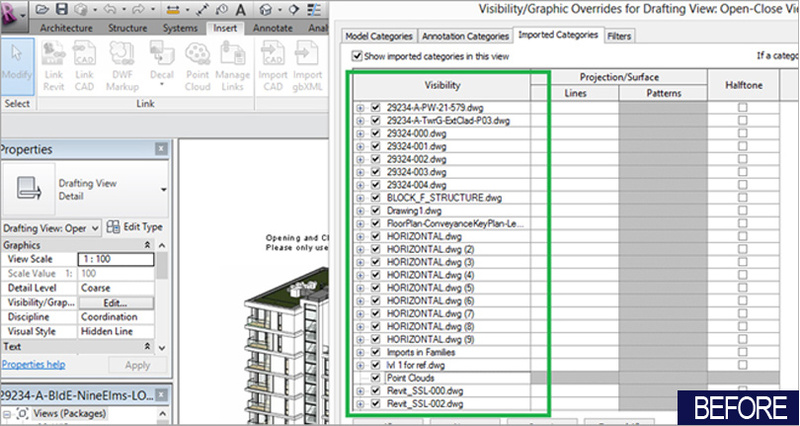 The user has the option to place the Text mentioning Linked Docs/ Models in all the sheets or selected sheets. Running this tool will display a form with a list of all the sheets in the project. In the UI itself the user can specify whether to place links in all the sheets or a few selected ones. Imagine a large number of pipes running in a close vicinity, where space has to be provided between them on the basis of multiplier of nearest pipe's diameter. Sounds like a humongous task to be done manually. 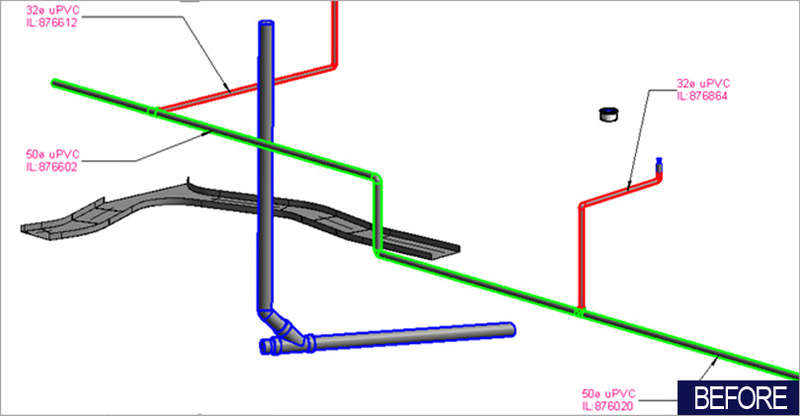 Revit has inbuilt function which can place pipes or other elements but only at equal distances between them. Intec has automated this requirement and developed an utility which takes the nearest pipe's diameter multiplied by "x" and provides space between the pipes below it; then it takes the second and the third pipe and so on. 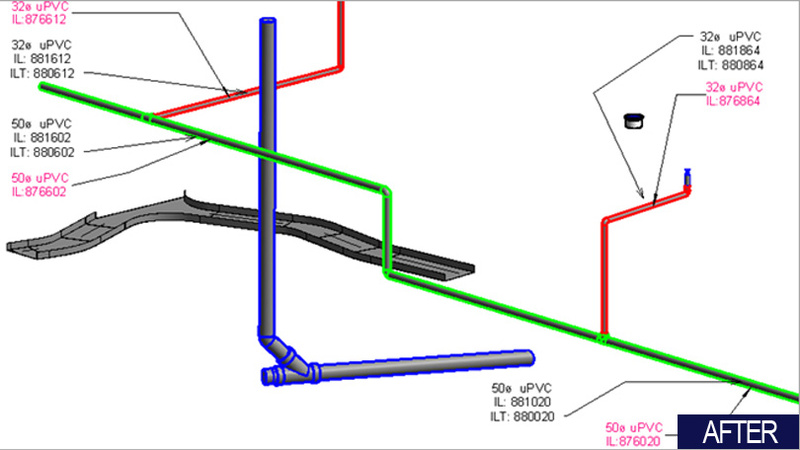 This Revit plug-in places the Sprinklers on all open ended pipes. 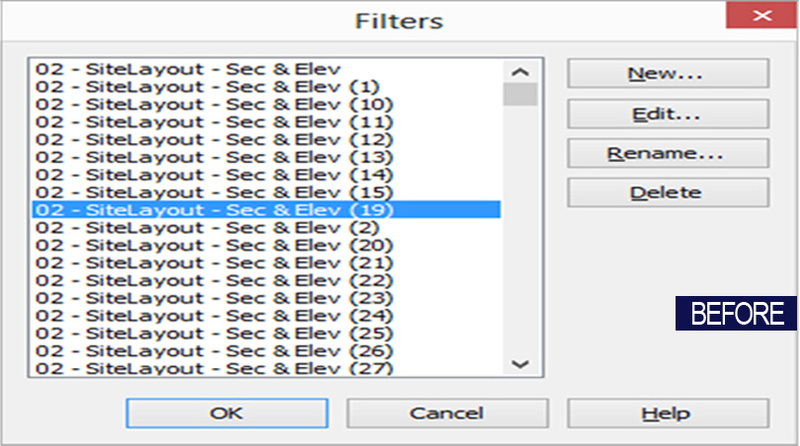 This utility schedules the locations of all the beams, columns and foundations. 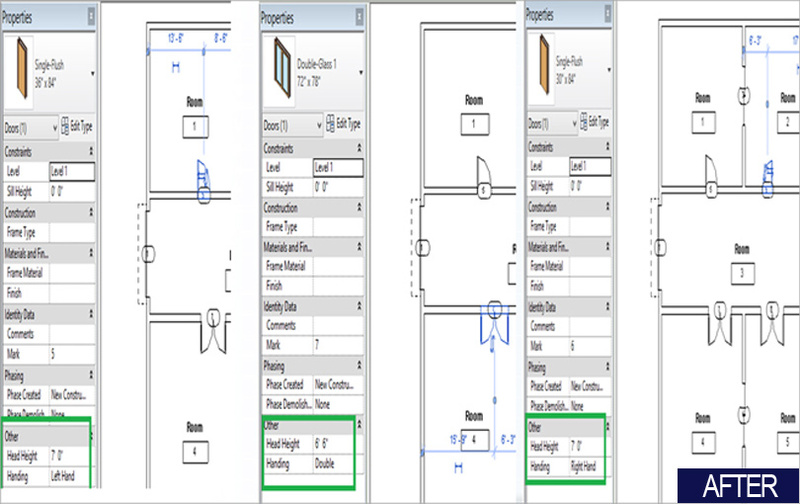 This Revit plug-in adds a parameter to all the doors, specifying its direction; whether it is Left Hand Open, Right Hand Open or Double. 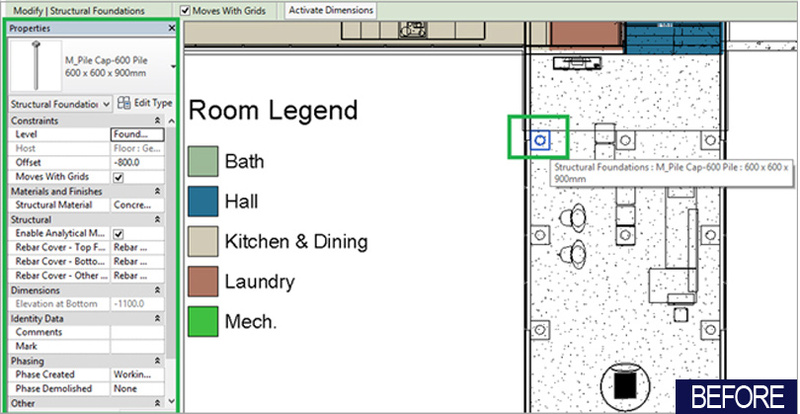 This is a very important functionality which is not available in the current versions of Revit. 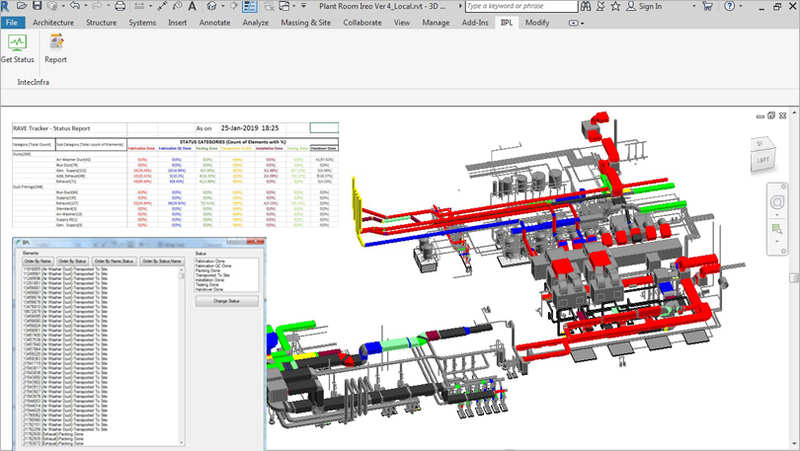 Tagger creates labels for pipes, based on the invert elevation minus or plus the value as specified in the input file. If it is a negative value, the label value is invert elevation minus the value and vice versa. 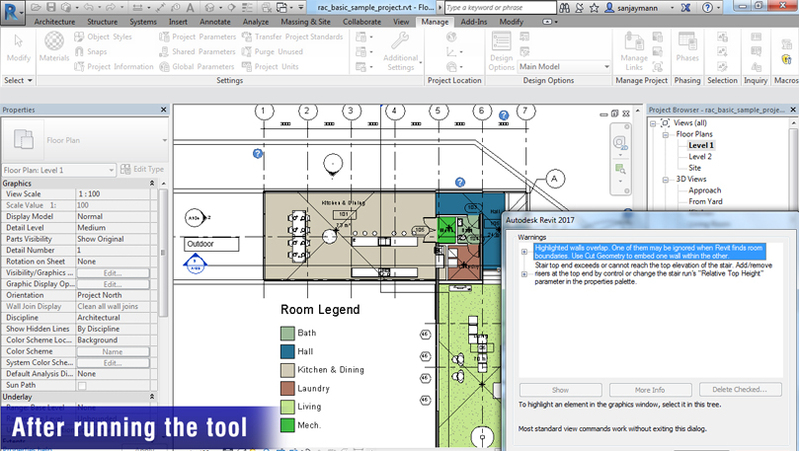 This add-in deletes all the imported cads leaving only the linked cad. 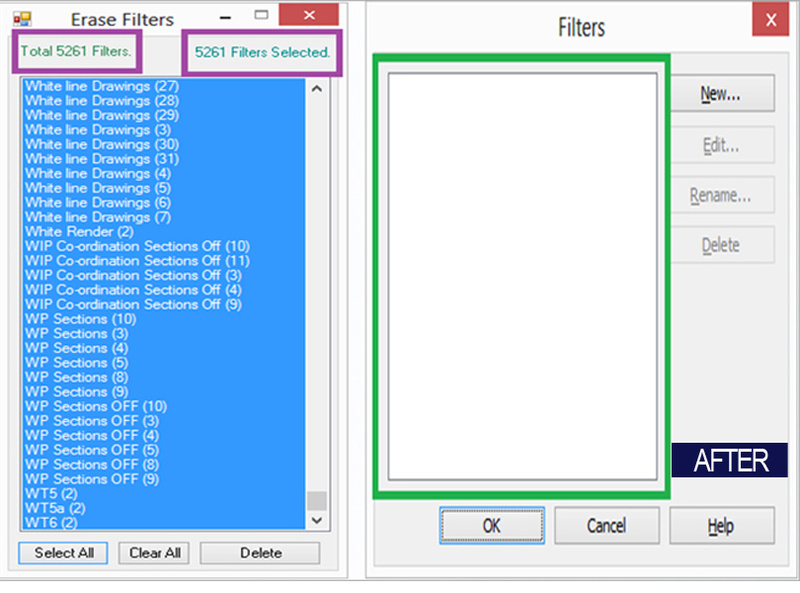 This add-in allows the user to select a single , few or all filters and deletes them. BatchCute is a utility using which multiple sheets can be exported to pdf using cute pdf. The user doesn't need to specify the filename or location for the export process ; nor does he has to click the save button each time a sheet is printed to pdf. The tool provides a UI where the user can select sheet/s to be exported to pdf along with path where these pdf's would be exported. 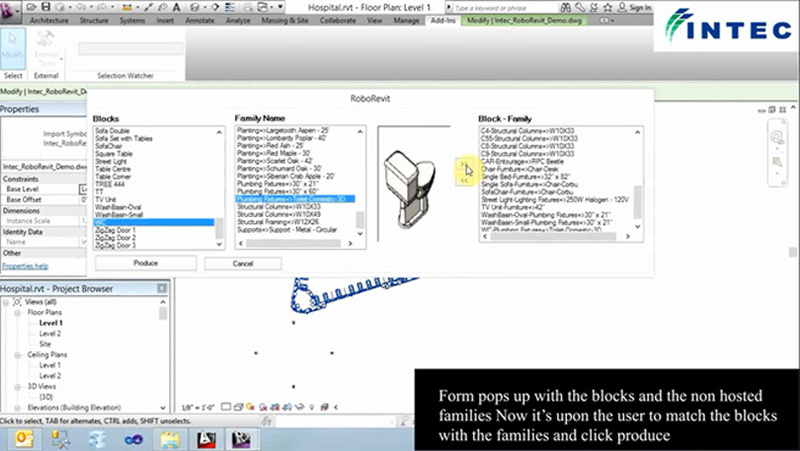 Using this Revit plug-in the user can rename all the family instances at a single go. 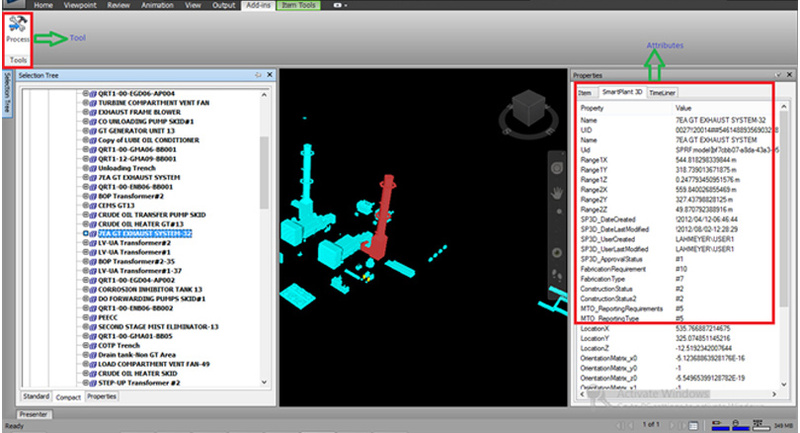 This utility generates unique mark values for all the elements in the project.